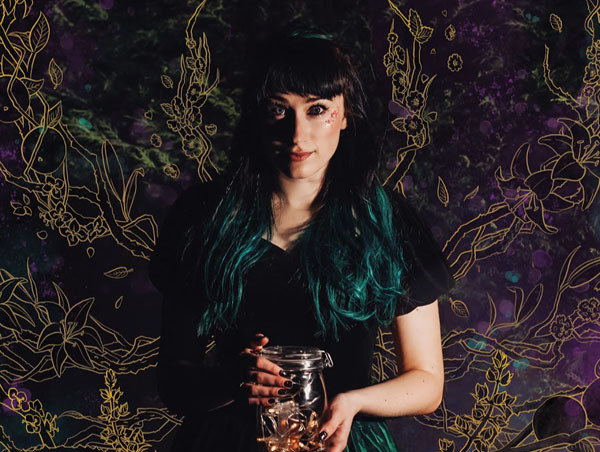 Cheshire born folk singer Molly Evans has enjoyed a fascination with traditional song and the oral tradition from an early age, having been immersed in stories belonging to the people and being passed from generation to generation through sound as well as the written word. Inspired by the writing of renowned Cheshire author, Alan Garner OBE (best known for his children's fantasy novels including The Weirdstone of Brisingamen and The Moon of Gomrath as well as his retellings of traditional British folk tales), Molly now brings her distinctive singing style to an assortment of stories and poems collected and written by Garner ‘so that the printed word may sing’. Working in collaboration with accomplished musicians Jack Rutter (guitar, cittern, concertina), Archie Churchill-Moss (melodeon) and acclaimed producer Andy Bell (Producer - BBC Radio 2 Folk Award 2014 - Best Album & Group), Molly has adapted and recorded new settings of Garner’s collected tales, stories and poems into songs texturally and melodically inspired by the English folk song tradition.